When we were looking around what is now our home, one of the things we weren't keen on was the carpet. The colour just wasn't us and dare I say it, it just look more ideal for and older person. 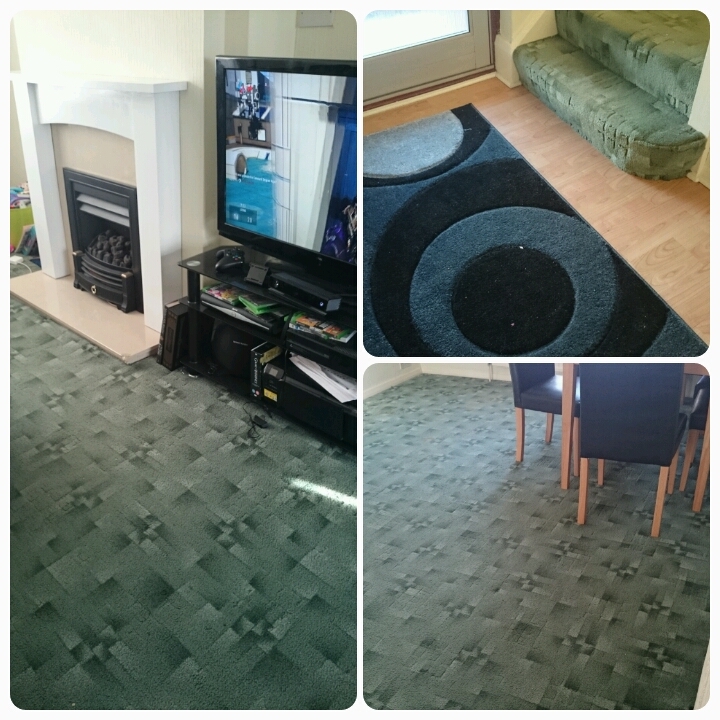 However the owners were telling us it's good carpet blah blah blah and in the end when we looked at the cost of changing it we were tempted to stick with it. That was until the day we moved in…. Well first of all just let me show you colour. These stains were all over the dining room and even with a proper carpet cleaner they didn't budge. The previous owners obviously had furniture strategically placed so we didn't notice it when initially looking around. I was so upset as the stains were glaringly obvious. 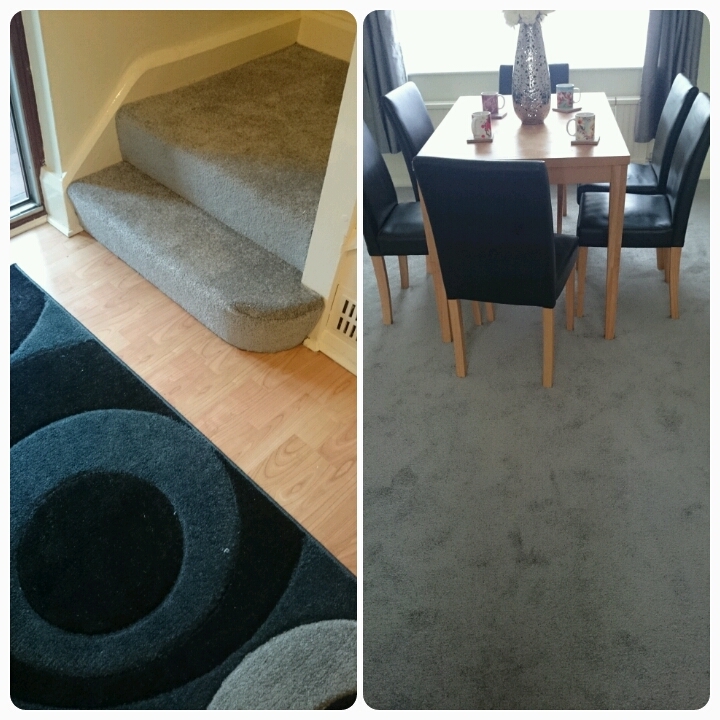 Hooray for sales, when carpet right announced they're latest sale we quickly got a quote and opted to go with their interest free option and pay for it over the next year. We couldn't afford to do the whole house but we got the most important rooms sorted. 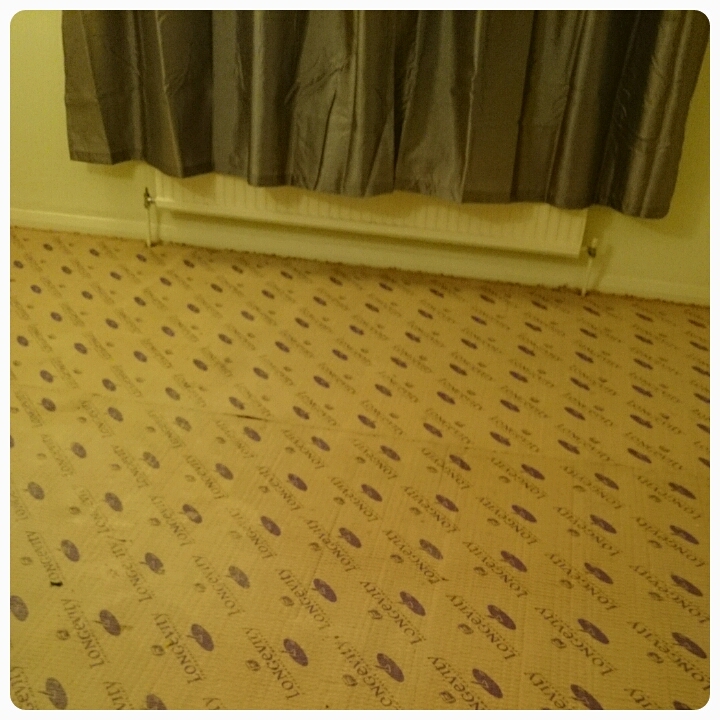 To keep costs down we kept the old underlay and ripped up the old carpets ourselves. 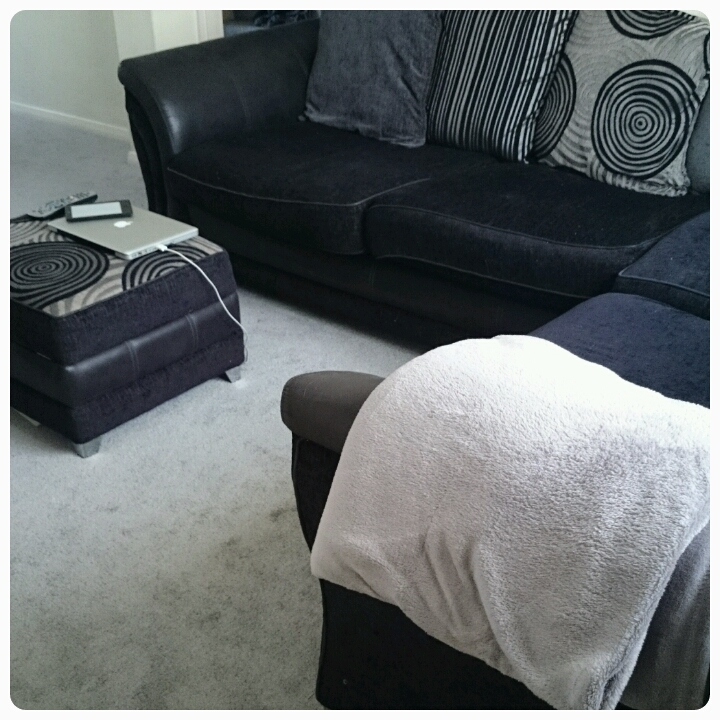 The end result has really transformed the house though. 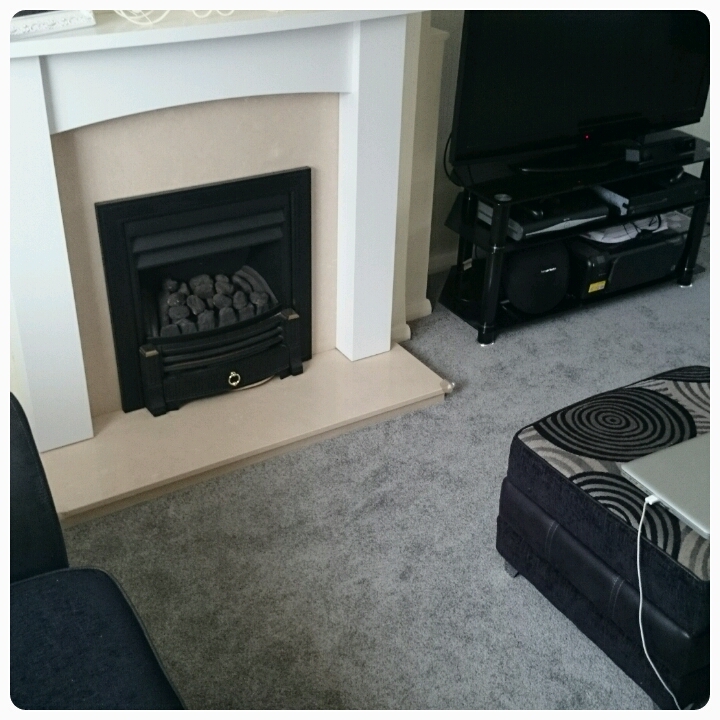 The new carpet has just bought everything together and it has managed to lighten up the rooms too. Such a simple change has made an amazing difference. Our house is really starting to feel like a home. I mean you know you are grown up when you are buying your own carpets right?! !